... a Web Server for static content. ... lightweight. APK size less then 100 Kb. ... as simple as possible. Only essential features implemented. ... open. Source code released under GPL-3.0. ... a personal solution. It is not optimized/tested for many parallel connections and large file transfer. ... network state responsive. Requires Wi-Fi connected or tethering enabled. Service will stop automatically if network is disconnected. 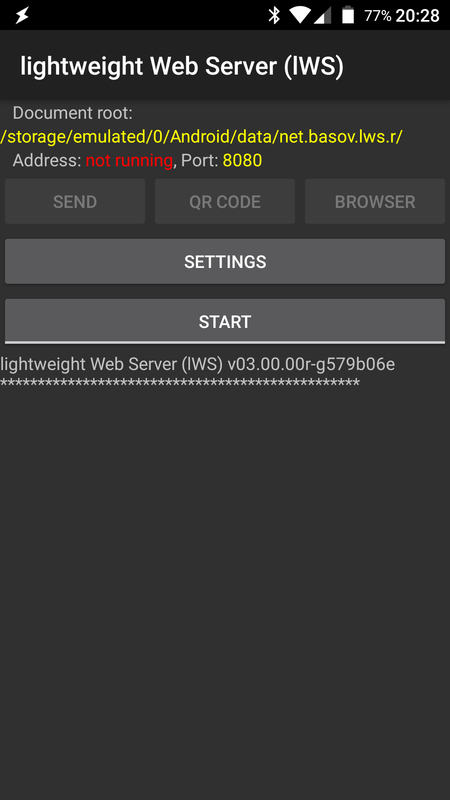 This application continues the development of Webserver for Android. Document root. Path may be entered as text or optionally selected using OI File Manager. If it is not installed it will offered for install. Any wrong values in parameters will automatically be set back to their defaults. Document root by default is set to application private directory, example index file automatically created. It is a safe configuration. You can place your pages in this directory. But be careful! If you use Android 5.0 or above and uninstall the application this directory and its content will be removed. You can change document root to any readable path on file system, but you need to understand what are you doing. __Be careful: you could (suddenly?) 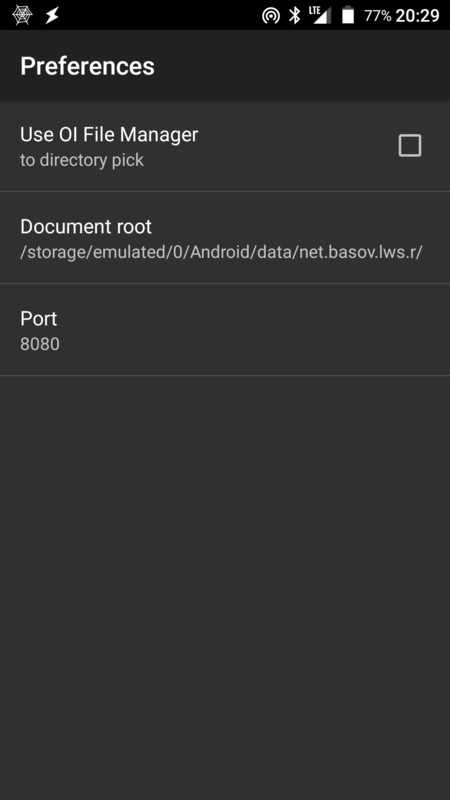 create the configuration so than anyone on the same Wi-Fi network could access the data on your device whether you like it or not.__ All files from document root and below are available for reading without any restrictions to anyone who's connected to the network and knows the URL of the server. 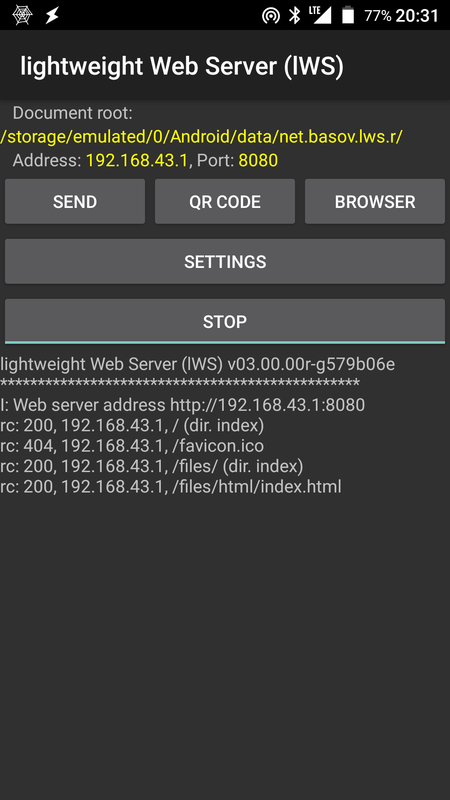 "Send", "QR code" and "Browser"
"Send" to share the working server URL to another device via Bluetooth, Android Beam, E-Mail and any other way available on your device. The application has no permanent logging. This was treated this as redundant functionality. The app tries to have the notification up to date. The on screen log works only when the application is visible. Log screen may be cleared after returning from background.